I’ve never been into espadrilles, until, of course, I learned that French women wear them. Sold. These perfect summery brown beauties from Sezane are now on my wish list. I’ve been looking for a brown heeled shoe of some sort, but being that I live in a beach town and I’m a writer (hence I’m indoors in yoga pants all the time), traditional heels in the daytime just aren’t practical or useful for me. Enter: Espadrilles. 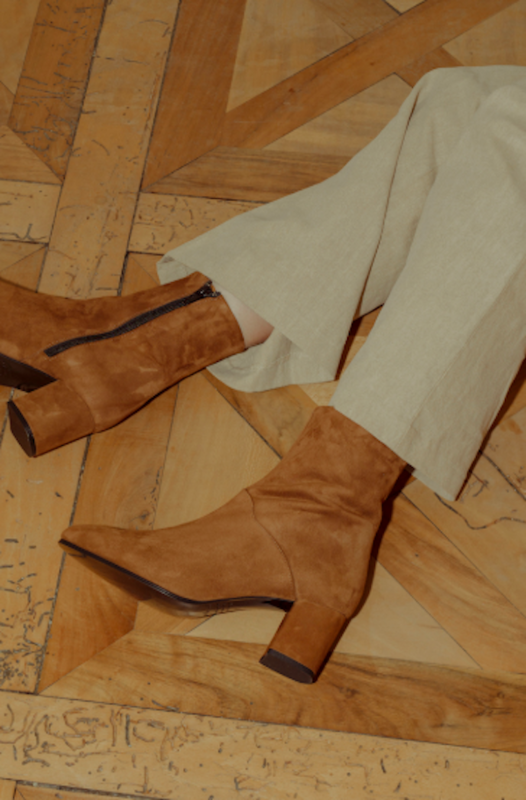 Find these beauties here from Sezane for $120. I’m not a big sandals person. But in my search for some simple summery shoes, I, of course, turn to the French. Petite Mendigote is a French brand that blends modern with bohemian. And they’ve done that particularly well with this darling pair of brown leather and silver metallic sandals ($119). Find them here. It’s official. I’m a francophile. Ever since going to Paris a year-and-a-half ago, I’ve been obsessed with Parisian style. It’s timeless, classic, but still feminine, fitted, and always beautiful. It’s the style I’ve been searching for all these years. I’m planning to go back to Paris in August and I’m already doing my shopping research, and at the top of the list is Anne Thomas, an accessories store in Le Marais. Not only does the store offer gorgeous, feminine jewelry, but it also showcases a collection of stunning footwear, including these Mimo Boots in Winter Leaf (light brown suede), which sell for $412. You can buy them online here. 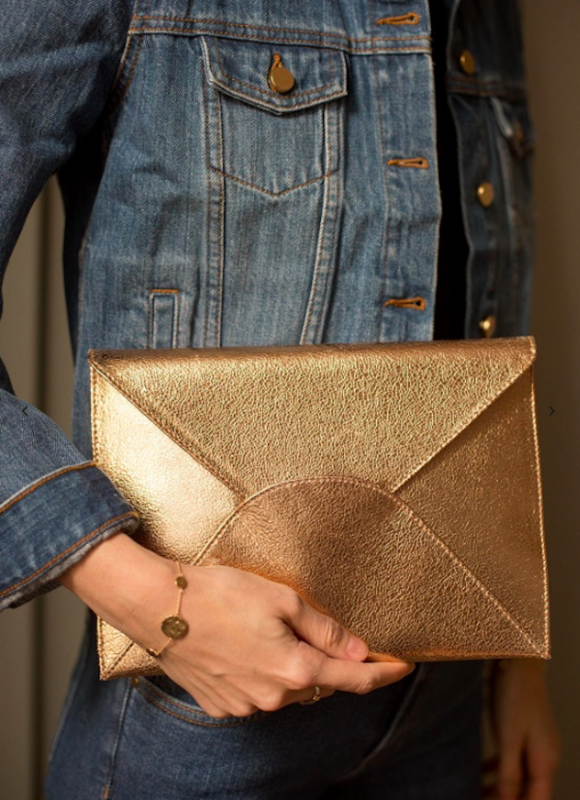 Sézane has a new clutch out this month, and it’s a beauty. This metallic gold leather pouch is roomy enough to hold your essentials, and small enough to tuck under your arm. For $125, it’s actually a solid price for a clutch like this—I usually see them priced much higher. Find it here.